Customs Information - All-Connect Logistical Services Inc.
For cross-border shipping, certain procedures must be followed in order to import/export goods. Shippers creating customs documents DO NOT have to wait for the driver to arrive to supply paperwork to cross. If you can prepare in advance and send to us, we could already have the freight cleared before the driver leaves the pickup. This will help to minimize any delays at the border and correct any issues prior to arrival. Willing and able to give references. CBSA facilitates the movement of goods and people across Canada’s borders while preventing dangerous and illegal goods and people from entering Canada. CBSA administers and enforces Canadian laws that govern trade including food and agricultural products and travel, plus international agreements and conventions. 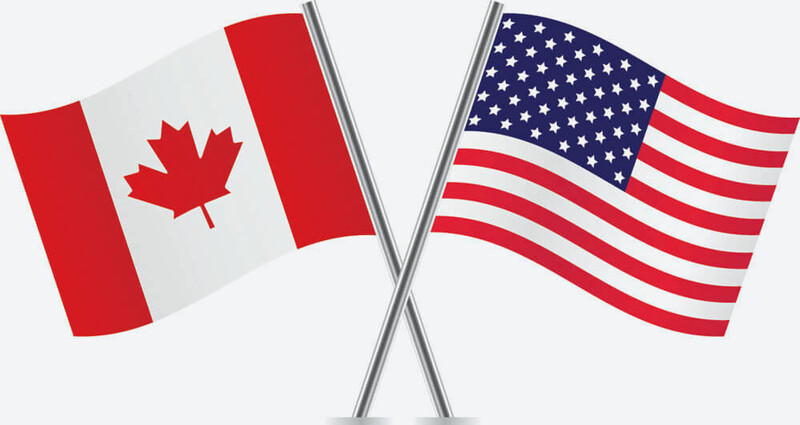 Canada Border Services Agency CSA program gives approved importers working with approved carriers the benefits of streamlined clearance for goods imported from the US. This clearance process ends the need for transactional transmissions of data related to eligible goods. CSA also provides importers the benefits of a streamlined accounting and payment process. Importers and their customs brokers use their own business systems to fully self-assess and meet their customs obligations. This program implements a sound plan to enhance procedures in conveyance and physical plant security, access controls, manifest accuracy, personnel security, education and training awareness. Canada Border Services Agency PIP program – together with the trade industry – combine to enhance border security, combat organized crime and terrorism, increase awareness of customs compliance issues, and help detect and prevent contraband smuggling. PIP participants benefit from the speedy flow of low-risk, legitimate goods across Canada’s border. Carriers hauling freight into the USA must put a PAPS sticker on the customs invoice and fax/email to the customs broker. Then carrier is responsible for creating the ACE, which advises the U.S. Customs and Border Protection what the driver is carrying and what time they are expected to arrive at the border crossing (ie. Time & date). It is the shipper’s responsibility to create the proper invoices and Bill Of Lading. After the customs invoice is submitted to the broker, the process to clear between the broker and US customs should take no longer than 3 hours. Canada Border Services Agency PARS service provides the ability for an importer or their customs broker to submit a release request up to 30 calendar days before the arrival of goods at the US/Canada border. Imported goods are customs cleared right at the border, eliminating delays at destination. Carriers hauling freight into Canada must put PARS sticker on the customs invoice and fax/email to the customs broker. Then carrier is responsible for creating the ACI, which advises the Canada Border Services what the driver is carrying and what time they are expected to arrive at the border crossing (ie. Time & date). It is the shipper’s responsibility to create the proper invoices and Bill Of Lading. After the customs invoice is submitted to the broker, the process to clear between the broker and Canada customs should take no longer than 3 hours. CBP, the single unified border agency of the Department of Homeland Security, combines the former Customs and the Border Patrol, Immigration and Naturalization Service (INS) and Animal and Plant Health Inspection Service (APHIS). The CBP mandate to improve security and facilitate the flow of legitimate trade includes expanded advance information on goods arriving in the US and partnering with other governments and the trade network. VACIS is a gamma ray imaging system which uses radiographic images to help inspectors carry out non-intrusive inspections of the contents of truck and trailer. For more information on customs procedures, please feel free to give us a call at 1-800-388-7947 and press 2 for dispatch.